They agree to meet in Munich. Travelling with their leaders are two young men. Paul Hartmann and Hugh Legat were friends at university, but now find themselves on two very different sides. Europe's darkest hour approaches. The fate of millions depends on the Munich conference, but not just on the leaders. 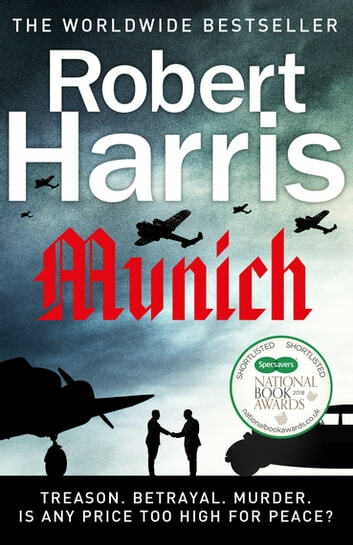 Beneath the surface, spies do their secret work – and the secrets Hartmann and Legat are hiding could plunge the world into war, or even prevent it. Some men will do anything for peace. nearly as good as his very best work. It informs about a critical period of pre war history. 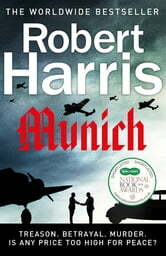 By taking two characters, one English, one German and involving them both in the negotiations leading up to the Munich agreement, Robert Harris makes history come alive and makes the reader care about the outcome. I finished the book understanding more about the circumstances that made Chamberlain take the decisions he did. Cleverly done and a good read. found this book brought history to life and having been born at the end of the 2nd war I now have a better understanding of Chamberlains decision. The use of two main characters one English and one Germany gave credit to the story. A gripping read that I couldn't put down. This is a fabulous read. It really describes in detail the underlying tensions between Germany and British. I have recommended this book to a few friends that are avid readers. It actually it feels like you are there, watching from a afar sidelines, witnessing the meetings between Chamberlain and Hitler. Gripping and fascinating at the same time, tbe tension kept up until the last page.